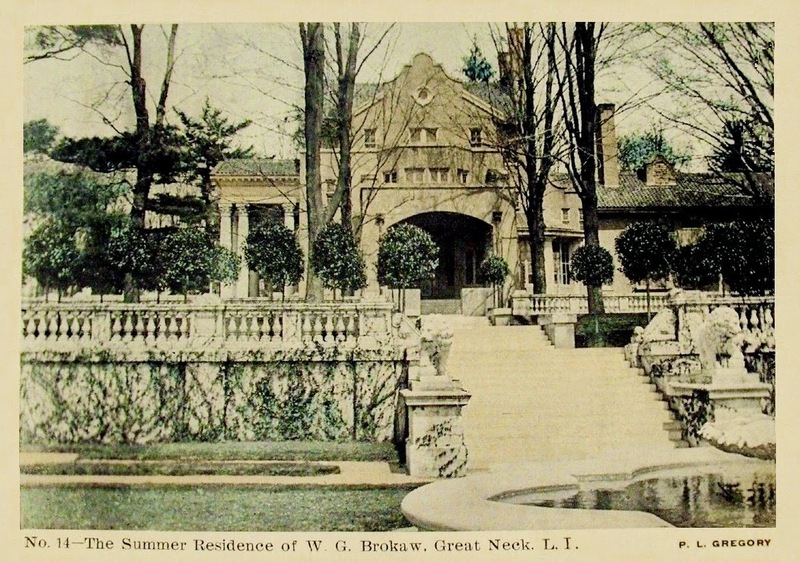 'Nirvana', the William Gould Brokaw estate designed by Little & O'Connor c. 1900 in Kings Point. Click HERE and HERE for more on 'Nirvana' which has since been demolished. Wasn't there also a "Nirvana" owned by a Roosevelt in the Sailsbury, East Meadow area? Great view. Love the terracing and garden steps that ground the very tall house to the surrounding estate.